It may be hard to get excited for football these days (that Bears game last Sunday made me throw up a little), but the future always breeds new excitement. The NFL draft has a new date -- and a new home. 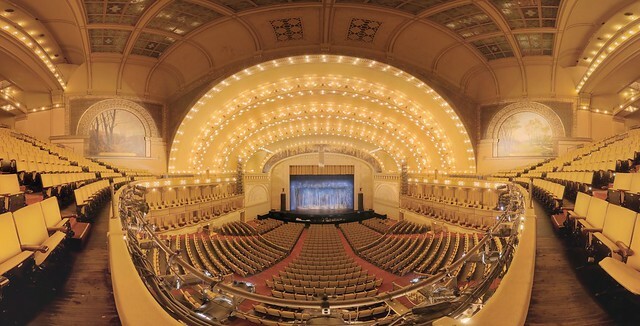 Next year's draft will be at the Auditorium Theatre of Roosevelt University in Chicago from April 30 to May 2. The Chicago Bears confirmed the news in a tweet Thursday. Yahoo! Sports was first to report the location. The draft will be a week earlier than last year and a week later than normal. Los Angeles was the other contender to replace New York City as the home of the draft, which became a necessary move due to Radio City Music Hall -- the traditional venue -- being unavailable. The draft was held in Chicago in 1938, 1942-44, 1951, and 1962-64. It's a nice win for Chicago and the theater is truly beautiful (although some of the seats in the balcony are FAR away from the stage. Anyway, should be a fun event!